When Imagine Dragons‘ breakthrough hit “It’s Time” first started to climb the charts late last summer, its lyrics about never changing who you are immediately hit home for me. Before long, it had become my anthem for a tumultuous 2012. Over the course of the year that followed, I downloaded Night Visions, became a full-fledged fan, and made every reasonable attempt to see the band live when they came my way. Unfortunately, a free evening and the opportunity could not be found on the same night. Until now… Thankfully, after much sold out tour success, the band agreed to perform at summer festivals across the country, including LAUNCH Festival, in Downtown Sacramento. LAUNCH was a five-day festival celebrating art, fashion, and music. LAUNCH’s fifth year proved a success, with approximately 50 musical performances and nearly 10,000 people in attendance over its course. Though I missed Girl Talk on Saturday night, I was lucky enough to be able to see Minus the Bear and Imagine Dragons back to back, so I’ll not complain. I arrived as Washed Out was on one stage, a few hours before Minus the Bear, which gave me time to discover all that there was to offer. (I did, though, make a note of WO, who sounded great!) First, I found the Zico Coconut Water tent, with a gazillion freebies for the taking. In search of food, I wandered across the park to the food trucks and settled on a “prius” from Drewski’s Hot Rod Kitchen: a grilled cheese with brie, sliced Granny Smith apples, almonds, and wildflower honey on wheat bread. In a word? Wow. Add to that an icy-cold beer, and there wasn’t much else I required. While I perused numerous tiny boutiques and checked out the stages, I heard Blonde Redhead’s set, and then a brief one by Shaun Lopez. 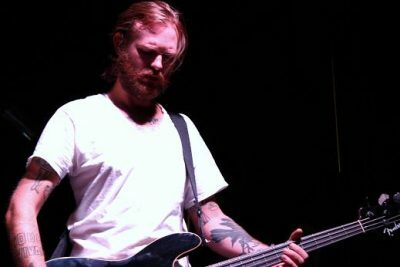 By then, it was getting dark, and it was time for Minus the Bear. Before too long, though, the Imagine Dragons logo was hoisted up at the back of the stage, the lights went out, and the band took their places. Their set began with a short but brilliant drum intro, with essentially all members banging on one drum or another – not a bad way to kick things off, if you ask me! First came “Amsterdam,” followed by “Tiptoe,” and they were off and running, all energy and banging drums. Frontman Dan Reynolds took a moment to acknowledge some “technical difficulties” causing a delay (whether theirs or another band, it was unclear, and ultimately doesn’t matter), and that they had a “tight curfew,” but would do their best to squeeze in as much as they could. “Hear Me” came next, and as I ambled through the pot-drenched crowd, I saw several couples drunkenly dancing. It’s sort of sweet and funny at the same time. And really, they were enjoying themselves and not hurting anyone, right? 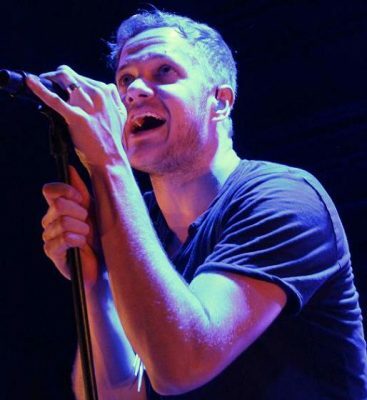 Up close with Imagine Dragons: frontman Dan Reynolds. “Thank you very much. If you know the next song, please sing along!” Dan requested of the crowd. He went on to explain that after four years as a band, it was the first of their songs to be played on national radio, for which a cheer rose in response. “We never thought it would happen, but it’s nonetheless incredible.” The song, of course, was my anthem, “It’s Time,” and when Dan turned the microphone to the crowd during one of the choruses, the volume was both impressive and lovely. Next came promotional single “Demons,” which is another crowd-pleaser that didn’t disappoint. “They say we have time for two more songs,” Dan informed us. “I’ll have you know we’re already making plans to come back. 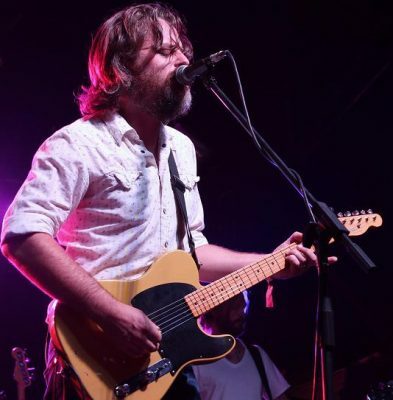 Thanks for having us, for supporting live music, and up-and-coming festivals.” As expected, the news that the band planned to come back any time soon was met with a roar of appreciation from the audience. 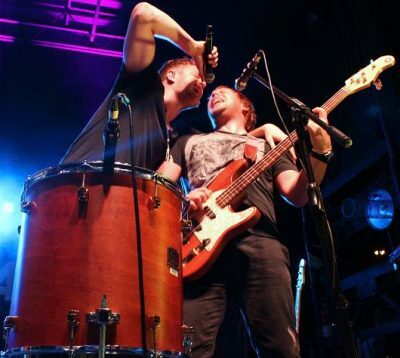 Current single “On Top of the World” was next, followed by Dan’s admission that they were going to “try to sneak in another song,” which was “Rocks,” beginning a capella and ending with multiple tambourines. Unfortunately, as might be expected, there wasn’t much time left but to bust out the big guns for the last song. It was, of course, the band’s biggest hit to date, the fantastic “Radioactive,” and all I can think of to say is that I love this song, and I’ve yet to enjoy it more than I did that evening when it was live and the band was feeding off of the energy of the crowd. It was phenomenal, and then it was over. Naturally, it left me wanting more, and I’m hungry for my next chance to see them again soon! I just hope I don’t have to wait another year to do so… At any rate, thanks to the folks at LAUNCH and GroundCtrl for a great time at the festival! 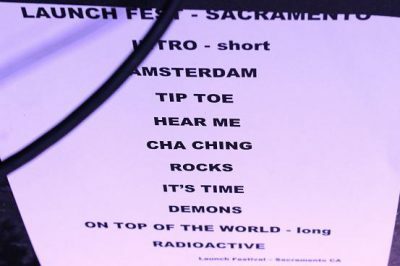 The Dragons’ set list, which had to be altered for a city curfew.